It's the second week of December and with Christmas looming I'm starting to panic! I would love to be super organised and have all my cards made, written and posted by this time. But life just gets in the way and as usual I'm struggling to get everything done! That's why at times like this I look for some easier options. 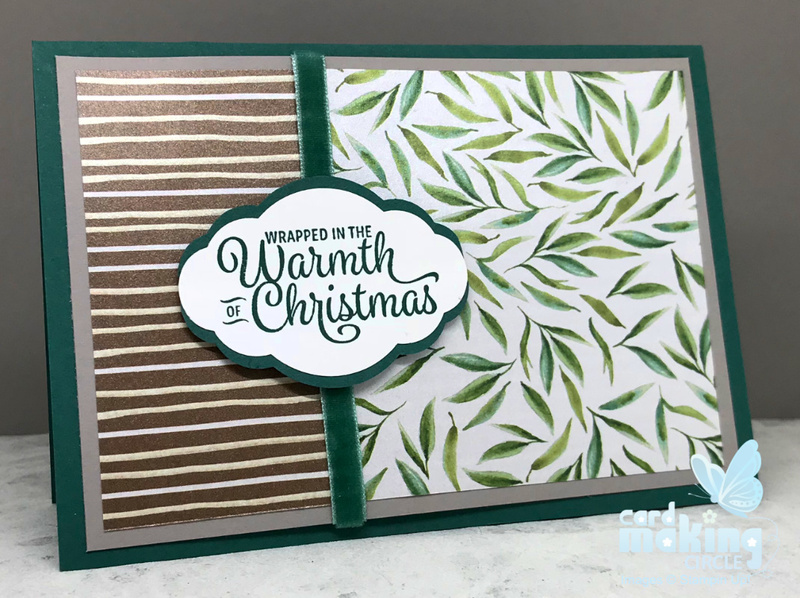 One of the quickest way to create simple Christmas cards is to use patterned or designer paper. 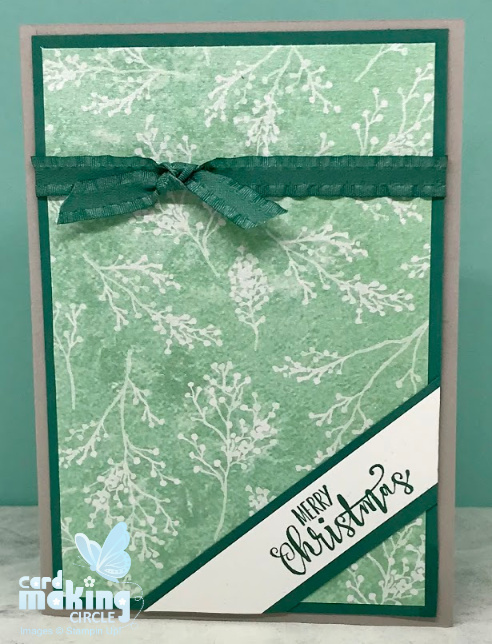 Add a sentiment, some layering and ribbon and you have the ingredients for multiple cards. The ideas here can be easily replicated. Make them in batches like a production line for speed and efficiency. Prepare everything first before putting your cards together as this saves loads of time. 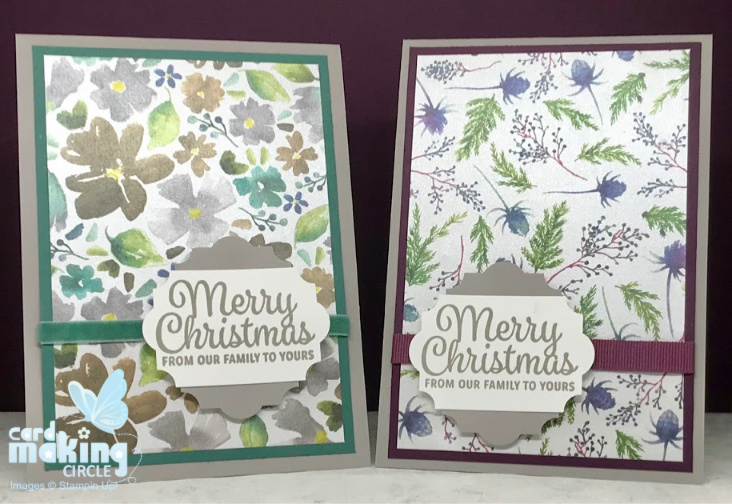 These cards were created using designer paper from Stampin Up!. First decide on your card and layer sizes. 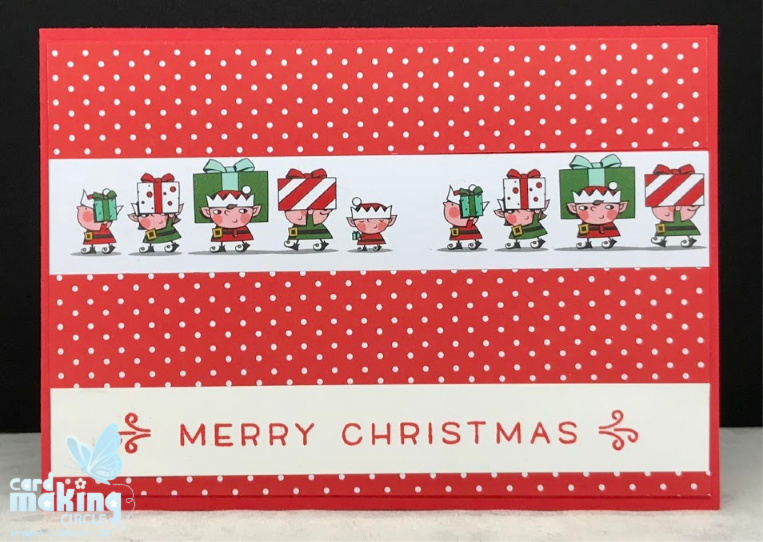 Add ribbon across the bottom third of the card to Layer one and two before sticking to the card base. A quick tip is to stretch the ribbon across the card and fix behind with double sided tape. Add your sentiment. These were created using the Everyday Label Punch (from SU). A second label in a co-ordinating colour was punched and turned 90 degrees for added interest. Most patterned or designer paper is double sided in matching designs. Cut off a third of the paper and reverse. Put the two together on a card layer hiding the join with a strip of ribbon. To finish add a sentiment. This sentiment was punched with the Pretty Label Punch (from SU). Punch an additional label in a matching colour. Cut in half and mount on the back of the sentiment for a shadow effect. 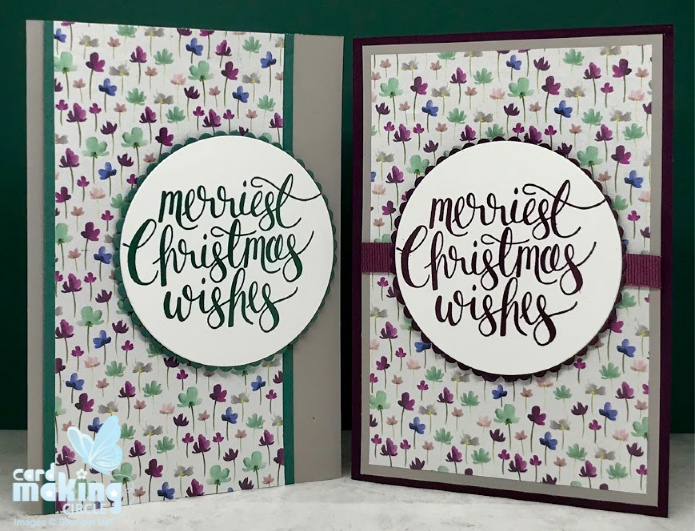 This time the sentiment was cut with Layering Circle Framelets using a die cutting machine. The white card with the sentiment was cut with a plain circle. While the larger laying circle was cut with a circle with a scalloped edge. 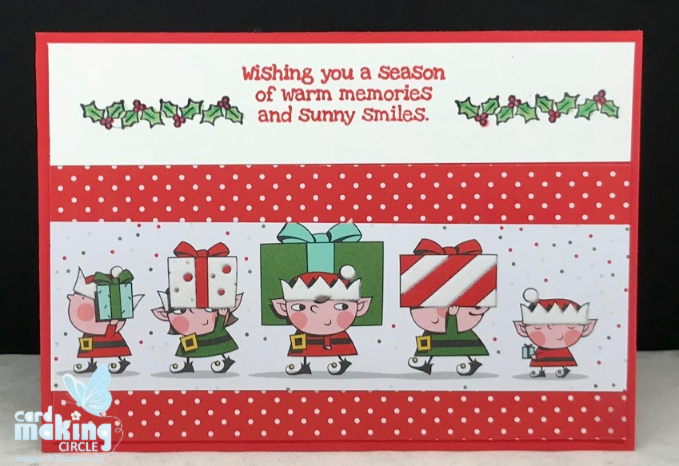 A different way to mount the sentiment is to use strips of paper across the edge of the card. A great way to use up all those scraps! A super quick and easy method is to choose a designer paper that has images that can be cut out and used on a card. This snowman card also used a paper image in the same way. Black and white Christmas cards are either something you love or hate. Though with a monochromatic design there are few decisions to make on colours! 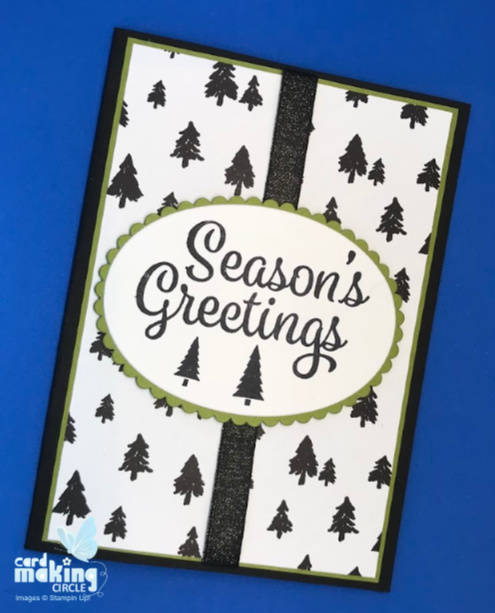 Both cards use a layer of patterned paper for Layer two topped with a sentiment. The first card has a simple cut rectangle with a black layer. While the sentiment on the second card was cut with Layering Oval Framelets using a die cutting machine. Cards don't have to be complicated to be cherished. Your recipient will value the time you have taken to make something yourself whatever the difficulty. 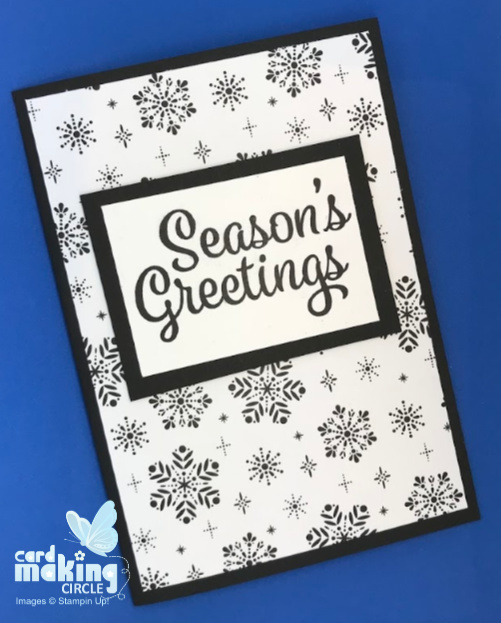 I hope you have enjoyed this whistle stop tour through simple Christmas cards.